Every now and then I come across musical synchronicities. The most recent involved Genesis/Phil Collins/Peter Gabriel. I’ve been thinking it was time to dig into Genesis’ and Phil Collins’ music catalouges. I’ve also been hearing a lot about Peter Gabriel lately. First I started seeing ads for him and a live performance he was doing, online. I also recently checked out a collaboration he did with Kate Bush, who I love, on Youtube, the song “Don’t Give Up”. Then my boss mentioned that Gotye sounded kind of like Peter Gabriel. And finally a contestant on The Voice sang the Peter Gabriel song, “In Your Eyes” the other night, which my fiancee actually thought was a Phil Collins song, originally. Then today I asked my boss (a huge music fan) if he had any Peter Gabriel CDs I could borrow, because Spotify didn’t have any of his music and I wanted to try getting into him after I worked though some of Genisis’ catalogue of music. Little did I know throughout all of this that Peter Gabriel was the original lead singer of Genesis before Phil Collins took over for him in 1975. I just happened to be hearing a lot about Genesis/Phil Collins/Peter Gabriel lately, in completely unrelated ways. I knew Phil Collins was the lead singer of Genesis, but never knew that he was preceded by Peter Gabriel. I found this out while I was listening to Genesis today and was doing a little research on them with Wikipedia. I like to know at least a little about as many artists as possible. It’s just so crazy how all of this was connected and I had no idea, but came upon all of it simultaneously. It’s funny because one of the last musical synchronicities I experienced, involved Kate Bush, who is also indirectly connected to this Genesis/Phil Collins/Peter Gabriel synchronicity. Double synchronicity!!! Anyway, this brings me to today’s song of the day, “That’s All” by Genesis. This is one of their most popular songs. I heard it on the radio the other day and it’s been stuck in my head ever since. That’s all. This entry was posted in Music, Song Of The Day, Video and tagged Don't Give Up, Genesis, Gotye, In Your Eyes, Kate Bush, Music, Peter Gabriel, Phil Collins, Rock, Song Of The Day, Spotify, That's All, The Voice, Video, Wikipedia, Youtube. Bookmark the permalink. 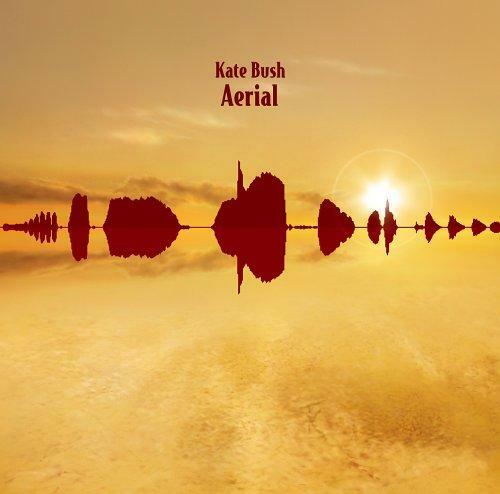 The Kate Bush album “Aerial” is another of my 50 favorite albums of the 00’s. I first heard the album back in 2005 when it was released, but didn’t listen to it much then. It wasn’t until last year that I discovered how great the album was. The song I want to share for today’s song of the day is one of my favorites from the album, “How To Be Invisible”. “Aerial” is definitely one of the most beautiful and well crafted albums I have ever heard and “How To Be Invisible” is a great example of that, while still being pretty accessible to casual listeners. It is actually a double album and both discs are great. I may even like the second discs better, which is saying a lot because the first disc is so great too. I’ve only really been listening to it for about 6 or 7 months, but whenever I want to chill out and/or just listen to some really magnificant music, I throw this album on. Come on, trust me, throw this album on. Both discs of it!!! 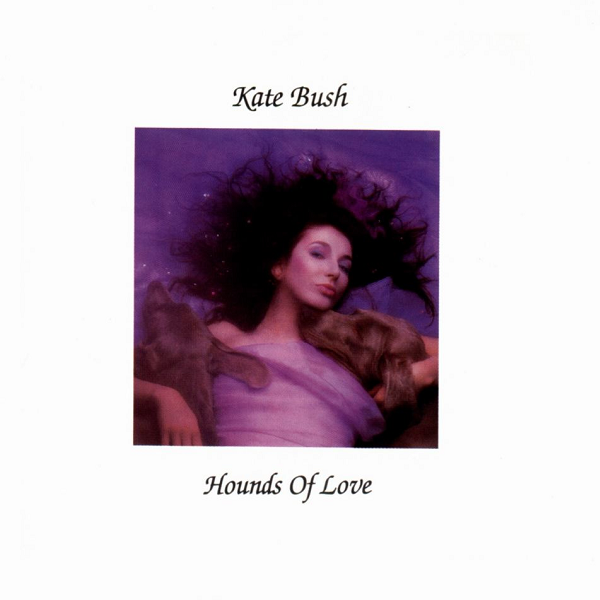 This entry was posted in Music, Song Of The Day, Video and tagged 50 Best Albums of the 00's, Aerial, How To Be Invisible, Kate Bush, Music, Rock, Song Of The Day, Video. Bookmark the permalink. This is a rare recording of 2 of my very favorite artists, David Gilmour from Pink Floyd and Kate Bush singing “Comfortably Numb” live. This is one of my very favorite Floyd songs. It’s from their epic double album “The Wall”. An interesting fact is that David Gilmour discovered and helped get Kate Bush started in the music industry in the late 70’s. I have to say a big thank you to David, because I absolutely love Kate. They should totally do an album together. They compliment each other well and are both such amazing, legendary artists. This entry was posted in Music, Song Of The Day, Video and tagged Comfortably Numb, David Gilmour, Kate Bush, Live, Music, Pink Floyd, Rock, Song Of The Day, The Wall, Video. Bookmark the permalink. A few weeks back I shared a song from each of my top 7 favorite artists/groups as songs of the day. The artists were as follows #1 The Beatles, #1 Michael Jackson, #1 OutKast, #4 Kate Bush, #5 *NSYNC/Justin Timberlake, #6 Matchbox Twenty & #7 Billy Joel. I decided that sharing my top 7 just wasn’t enough and that my #8 to #10 artists/groups more than deserve to be shared too. So coming in at #8 is the amazing, Jamiroquai!!! I absolutely love these guys and the pure, delicious funk they deliver time and time again. Most of you probably only know them for today’s song of the day “Virtual Insanity”, but they are very big around the world. Not so much in the U.S.A. which I’ll never understand. You may also know their song “Canned Heat” from the dancing scene in “Napoleon Dynamite”. Jamiroquai is what music is all about. Making you feel good!!! This song is only the tip of the iceberg for Jamiroquai. They have so many gems. I got their CD “Traveling Without Moving” back when it came out in 1996 and “Virtual Insanity” from it was a big hit. For many years (about 7) I never really listened to the album. I was going through my CD collection in high school and disposing of bad and emarrasing CDs, when I came across this CD and decided to give it one more listen before I tossed it. I fell in love with it instantly and needless to say kept it and have been a huge Jamiroquai fan ever since. Their smooth, fun, funky grooves also have helped me through some hard times. They always do the trick on really cheering me up and making me want to get down with my bad self. This entry was posted in Music, Song Of The Day, Video and tagged *NSYNC, Billy Joel, Canned Heat, Funk, Jamiroquai, Justin Timberlake, Kate Bush, Matchbox Twenty, Michael Jackson, Music, OutKast, Song Of The Day, The Beatles, Traveling Without Moving, Video, Virtual Insanity. Bookmark the permalink. Boy, oh boy, it seems like it has been so slow the last couple months, when it comes to music. It’s actually made it quite hard for me to come up with material to write about. It feels like there has been barely any noteworthy albums that have come out since mid November. But actually there has been a bunch of pretty good albums. 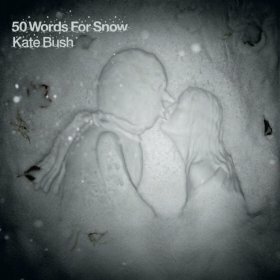 Kate Bush’s “50 Words For Snow” was great, as usual. I mentioned in my top ten albums of the year post last week, naming it number 1. 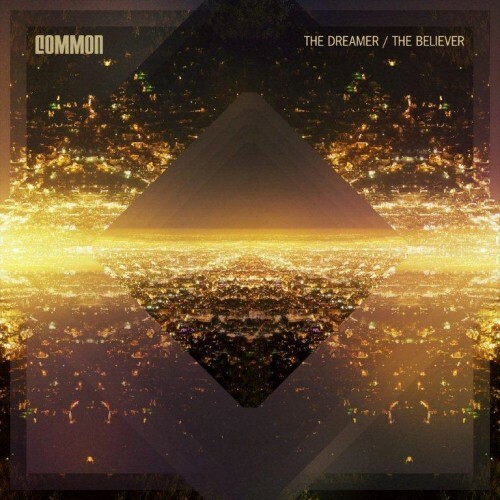 There were a couple good releases in December, worth listening to, with albums like “Red” by Dia Frampton and “The Dreamer/The Believer” by Common. Also Snoop Dogg and Wiz Khalifa released a soundtrack album to their upcoming film, a “black” Cheech and Chong take off “Mac and Devin Go To High School” and is better than I’d though it would be. Lot’s of catchy song’s about pot smoking, but what would you expect from Snoop in a Cheech and Chong style film’s soundtrack? Come to think of it Rap has has had a few good months, recently, which Hip-Hop desperately needed, because Hip-Hop has been, well, dead for years now. 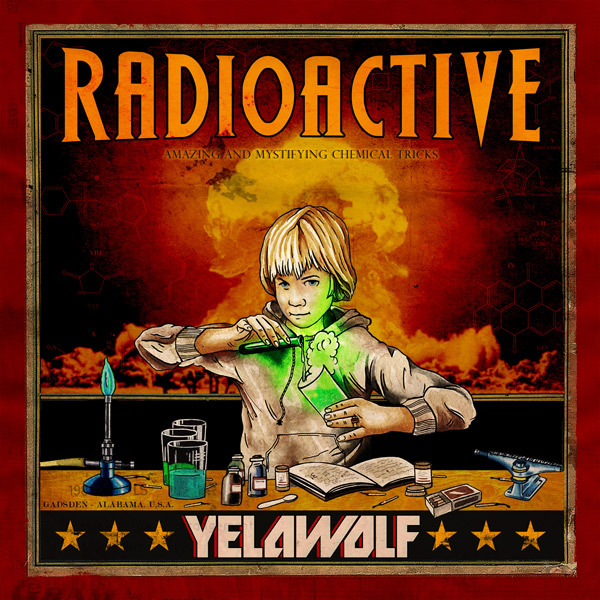 Some really good, new Rap albums I’ve been listening to include Eminem’s new protege Yelawolf’s debut “Radioactive”. Childish Gambino a.k.a. 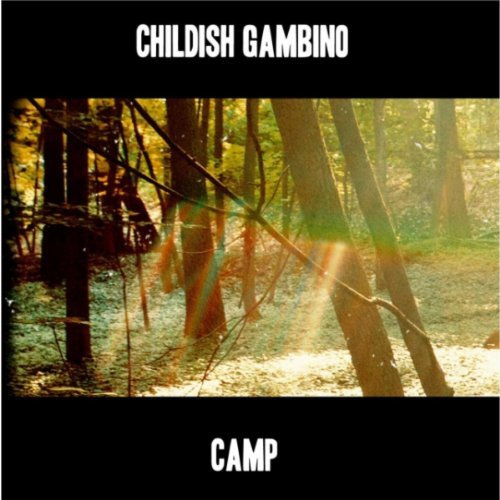 Donald Glover from the TV show, Community, who you’ve NEVER heard like this before, released a killer debut album called “Camp”. 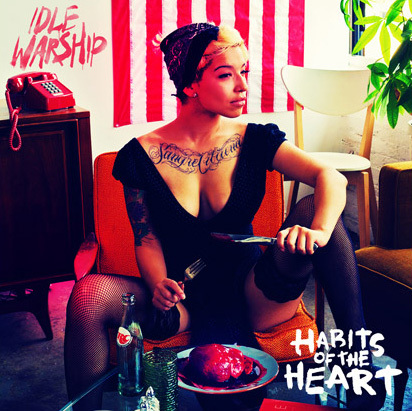 Idle Warship’s is a genre bending Hip-Hop group consisting of Talib Kweli and female singer, Res, who released their debut album, “Habits Of The Heart” back in mid October on Spotify before it even hit the store shelves, to create a buzz. It seems like all the good, new music is coming from new acts and a lot from Rap for a change. This is what Rock needs. Rock has had really no major albums come out in recent memory and all the Rock radio stations are switching format away from Rock. Rock really needs a renaissance. If Rap can do it, so can Rock. 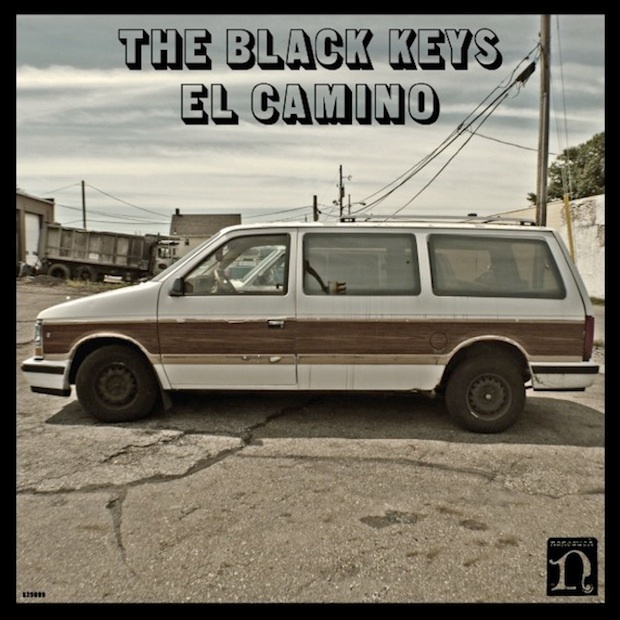 The Black Keys new album, “El Camino” is really good and they have been getting quite a bit of attention and are even on the cover of the current issue of Rolling Stone. 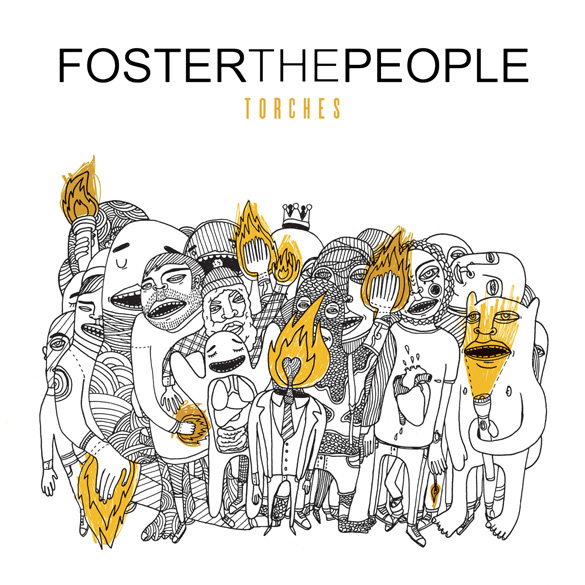 Foster The People are another Rock band that have been holding it down on the pop radio waves with their surprise, smash hit “Pumped Up Kicks” from their album “Torches”. I began writing this blog post as a question of what to do when there is not much good music coming out, but in the end, I realized that there is quite a bit of pretty decent music out right now. However the questions remains the same, what to do in times, when you thirst for something new for your ears to feast on and there really isn’t anything catching you ears? What I do is go back and listen to old artists that I’ve always wanted to, but never got into and start to dig through their catalouges. While it might not be “new” music, it’s new to me. 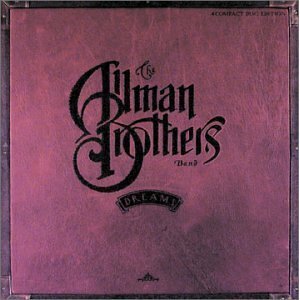 So, I’ve been listening to the above mentioned albums and some “old” music by Kate Bush, The Allman Brothers and some other older artists. I should note that just because there may not be any major releases out doesn’t mean there is nothing good out. It just takes a bit more digging to find something new and fresh. What do you recommend I listen to right now? Have you heard anything new and interesting? Anything oldy, but goody? This entry was posted in Music, New and tagged 50 Words For Snow, Camp, Cheech and Chong, Childish Gambino, Common, Dia Frampton, El Camino, Eminem, Foster The People, Habits Of The Heart, Idle Warship, Kate Bush, Mac and Devin Go To High School, Music, Pumped Up Kicks, Radioactive, Rap, Red, Rock, Snoop Dogg, Spotify, The Allman Brothers, The Black Keys, The Dreamer/The Believer, Wiz Khalifa, Yelawolf. Bookmark the permalink. Kate Bush is my favorite female artist. She is absolutely amazing and make such beautiful music. This song, “Sunset” from her 2005 album “Aerial” is another song that recently moved me and touched me so deeply that it set me on my new musical path toward becoming more of a music participant. Hence the blog and starting to learn to play guitar, which I will eventually be documenting my progress with, right here on Volume 11. Enjoy the beauty that is the “Sunset” and Kate Bush. This entry was posted in Music, Song Of The Day, Video and tagged Ariel, Kate Bush, Music, Song Of The Day, Sunset. Bookmark the permalink. I put “50 Words For Snow” as #1, mostly out of principle. This is not her best album, but she is such an amazing, brilliant artist that whenever she drops an album (which is very rare……very rare indeed) she deserves to be #1. She is the complete opposite of what one would call a prolific artist. Her first album “The Kick inside” came out in 1978 and in her thirty-three year career she has only put out ten albums, 6 of which came out in the 80’s, peaking with her critically acclaimed and popular masterpiece “Hounds of Love”. In 1993 she released her album “The Red Shoes” and didn’t come out with another album until 2005 called “Ariel”. 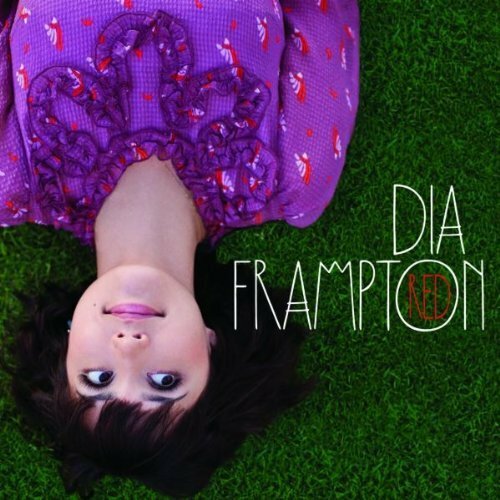 This is probably my favorite album by her, right up there with “Hounds of Love”. Now something amazing happened in 2011. Kate decided to put out two albums the first one being “Director’s Cut” which is re-imagining’s of a selection of songs from her two albums “The Sensual World” & “The Red Shoes”. 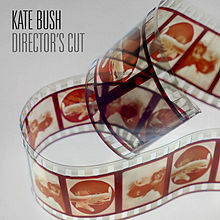 I Put “50 Words For Snow” & “Director’s Cut” together as #1 album because it’s an amazing thing to have had Kate Bush put out 2 albums in 1 year, even if one is of re-imagining’s of old songs. These albums belong together somehow. Both albums are pure Kate and if you don’t know what I mean by that and/or you just don’t get her than you probably won’t like these albums, but they are both just as stirring and moving as anything she has ever put out. It’s maybe not so much the albums that are #1, but Kate Bush that is #1. 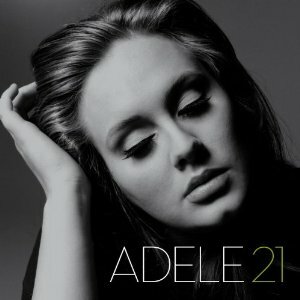 I put Adele’s album “21” as #2 mostly out of principle also. The album is full of well crafted Pop-Soul tunes dripping with raw emotion. This is a really good album and she has had an amazing year. She did what no one had expected and somehow broke into the mainstream, which is full of almost 100% bubblegum music. Either that or a bunch of ignorant, annoying Hip-Hop music (see Chris Brown’s “Look at Me Now”). She broke into the mainstream simply by being herself and singing beautifully. She’s not your average pop star and that could be what has made her so successful. Maybe people are finally tiring of all the bubblegum and ignorance and that’s a good thing. A very good thing. 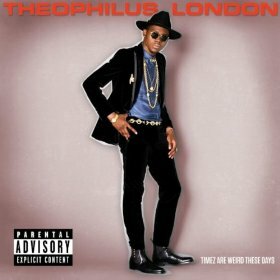 The eccentrically named Theophilus London is a Brooklyn rapper who was born in Trinidad. His album “Timez Are Weird These Days” is the best debut album I’ve heard in a while and was also most certainly the best and most original Hip-Hop album of the year. But to call it Hip-Hop might simplify it a little too much. Yes he’s predominately a Hip-Hop artists, but he dabbles in Rock, Techno, Reggae etc. He’s what I have dubbed “Alternative Rap” (e.g. A Tribe Called Quest, OutKast, Kanye West, Lupe Fiasco, Kid Cudi etc.) and lord knows we need some kind of alternative to most of the rap out there. And speaking of Kid Cudi, Theophilus actually sounds a bit like Kid Cudi. So if you like the Kid you’ll probably like the London. The album is catchy, original, funky and it’s number 3 on my year end music list. Enjoy. Now before this album came out, I hadn’t heard anything about it. I didn’t even know Lenny Kravitz was still active as a musician. Well actually I did, but I didn’t think he was doing anything interesting enough to speak of. Sorry Lenny. 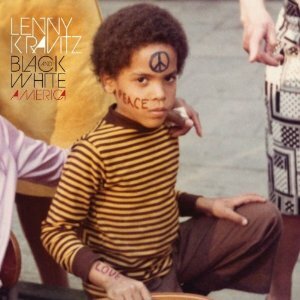 I’ve always liked and respected Lenny Kravitz, but never expected him to land on one of my top 10 year end music lists. With that said his album “Black And White America” is quite a refreshing surprise. It’s full of 70’s style, chic, Funk-Rock and if you know anything about me, you know I love the Funk. The album is a contemplation of America’s Black and White cultures and how they coexist and the progression of relations between the two races over the past 50 or so years. I read somewhere that “Black And White America” sounds like something that would be in President Obama’s iPod and I have to say that it probably is. You know what else it’s also in my iPod (or in my Spotify app in my iPhone). Looks like myself and Obama might have more in common than our dashing good looks. It’s great to see that Lenny Kravitz not only has a rocking new album, but will also be co-starring in the upcoming “Hunger Games” series. Welcome back Lenny. I first heard Ryan Adams when I started dating Shannon. I have to admit that at first I wasn’t really sold on him or his style, but over the past 2 1/2 years, he’s really grown on me. I started to get into him by asking Shannon to contribute some songs to my music journals and she suggested a few of his songs. My music journals are 2 disc compilations of songs that speak to where I am at that point in my life. Now I wouldn’t call myself a Ryan Adam’s expert, although I have heard a few of his albums, know that he used to be a big drug addict, that he’s really into Metal even though he is more of a Folk singer and that he’s married to Mandy Moore, but the intimate collection of songs on “Ashes & Fire” makes me feel like I know him like an old friend. The album was co-written with Norah Jones and produced by Glyn Johns who worked with The Beatles on “Get Back”. The album is very Bob Dylan-ish, but don’t quote me on that because I’m also not a Dylan expert. 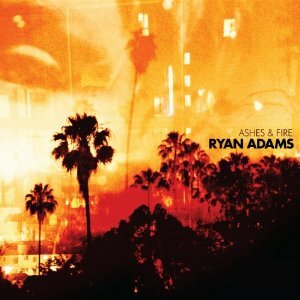 “Ashes & Fire” is a quiet, cool, Folksy ride worth going on and from what I’ve heard from Adam’s experts, a return to form after a few questionable albums. It looks like Ryan Adam’s has risen from the ashes and fire. Jay-Z and Kanye West made an album together under the moniker, The Throne? Yep and it was awesome and totally braggadocios or as they have called it, luxury Rap and it is quite luxurious. It’s dripping with different sounds, such as spaceships taking off and monkeys screeching and it samples Otis Redding, which never hurts. It does focus on materialism a bit, discussing such things as how many watches and cars they have, but it’s also contemplative at times about such things as the struggle of succeeding in America as a Black American for example. 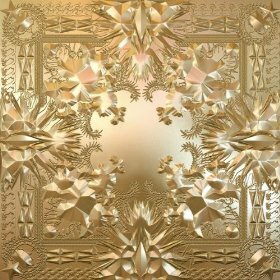 Jay-Z and Kanye West are two of my favorite rappers and they did not disappoint on “Watch The Throne”. As a matter of fact they surprised me. I know that Kanye West has more of an experimental, conscious side and that Jay-Z is more of a straight down the line rapper and I think that they combined both of those sensibilities very well. “Watch The Throne” is mostly unlike any other Rap album out there and that’s a good thing. When you take 2 of the best rappers alive and put them on the same album together it leaves you pondering who the King of Rap is. Well obviously that title (throne) goes to Jay-Z, but he better watch the throne because Kanye isn’t playing any games. He is the Prince of Rap for sure and he’s looking to Marry Kate AND Ashly. Apparently Kate Middleton isn’t enough for him. 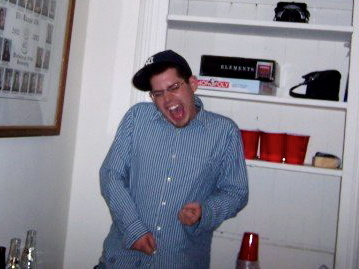 When I heard Coldplay was coming out with a new album, I was needless to say, uber excited. I am a pretty big Coldplay fan. When I heard what the name of the album was, I was, well, confused. When I heard why they named it that, (something about some guy named Mylo playing the xylophone on or with his toes or something……I think) I became even more confused. But once I listened to the album it all made sense. It’s Coldplay doing what they do, making anthem Rock tunes with lots of oohs and aahs thrown in, that can be played on top 40 radio and be sung together by the whole family. The only problem here is that the album didn’t land at number 1 on this list or at least in the top 3 for me, which I was expecting and almost certain that it would. The album is good and some songs are even great, but it’s just not as good as what they’ve done in the past. On previous albums I’ve loved every song. 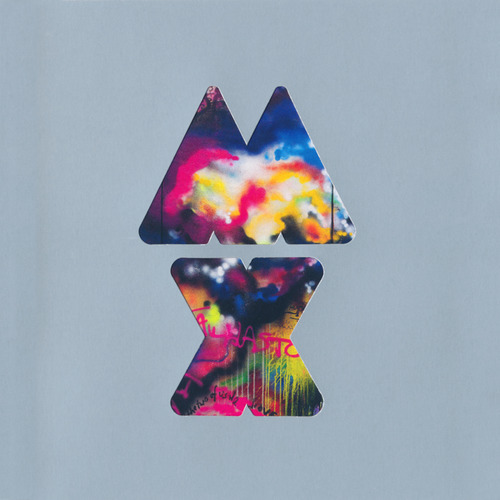 On “Mylo Xyloto” I can’t say that, that was the case. They have like 5 or so really good songs and the rest or, well, not bad. It’s the power of the 5 or so really good songs that carried it so high on to this list. If it wasn’t for those, this album probably wouldn’t have made the cut, which is a shame because like I said, I love Coldplay. They are one of my top 10, all time favorite Rock bands, but that’s for a different post. Maybe I just expect perfection from them all the time and this was good, but not perfection like their other albums. Still it was good enough in a year of “just good” music to land it at number 7. Lupe Fiasco is one of the best and most intelligent rappers out there. On his first 2 albums “Food & Liquor” and “The Cool” he proved that he was not only super talented and “The Coolest”, but he was also very thought provoking and not afraid to speak out about the government and injustices worldwide. Oh and did I mention he’s Muslim, which I think gives him a very unique perspective. It may be his all around originality and desire to speak on touchy subjects in his songs, that his record label had “Lasers” shelved for years. I guess record companies and the powers that be, rather have us listen to mindless music that all sounds the same, than to give us something smart and fresh. When work first began on “Lasers” it was titled “L.U.P.End” and was intended to be his third and final album, because of what I take to be his desire to get out the music industry that he had such a strong distaste for. During the long wait for “L.U.P.End” his fans got so impatient with Lupe’s record label holding back his new album, that they started a petition to have it finally released. 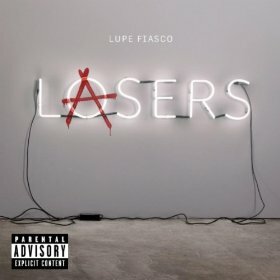 The passion of his fans and desire to show record execs must have lit a fire under Lupe because when the album finally came out not only was it as thought provoking as ever and also super catchy, but the title had changed to “Lasers” showing us that he is not done yet and that we are far from the L.U.P.End”. Danger Mouse is a very interesting fellow. 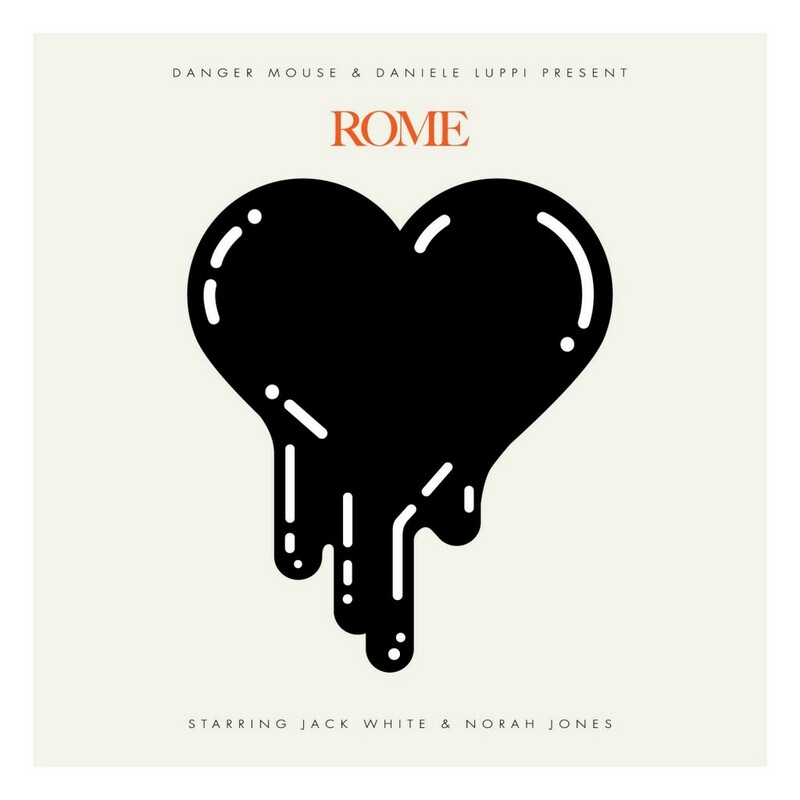 He has worked with artists from a cross the musical spectrum, from MF Doom, to Cee-Lo Green, to James Mercer of The Shins, now to Italian film composer, Daniele Luppi on a concept album, titled “Rome”. The concept is that it is a soundtrack to a fictional spaghetti western film, starring Jack White of The White Stripes and Norah Jones. Danger Mouse is a very interesting fellow indeed. Listening to the album is kind of like listening to a music box. It’s very quite and beautifully composed. The vocals of Jack White and Norah Jones compliment the whole atmosphere created by the music, perfectly. It’s really unlike any album I’ve ever heard, as it should be, when you’ve mixed in all the aforementioned, very different ingredients and ideas. You know what they say, “When in Rome do as the Romans do” and go check out “Rome”, partner. 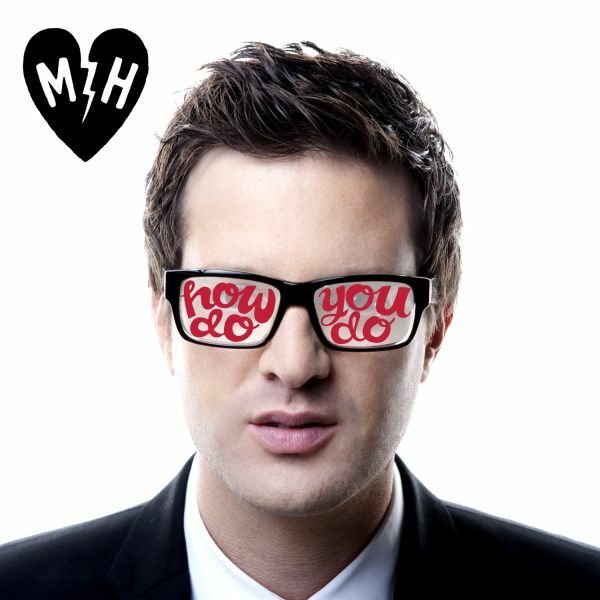 Mayer Hawthorne is another very interesting fellow. He is an ex Detroit rapper who now sings as if he is some sort of 60’s Soul crooner and looks like none of the above. He looks like an insurance salesman or something. But his music speaks for itself. It’s cool and classic and while his new album “How Do You Do” is not much of a departure from his first album “A Strange Arrangement”, my number 2 favorite album of 2009, it is at least on par with his previous work. He gets slightly in touch with his Rap roots on the song “Can’t Stop” feat. Snoop Doog, although there is no rapping, not even from Snoop, who opts to take the Soul crooner route as well, to quite enjoyable effect. Maybe a big part of why I like Mayer Hawthorne, is because of how different he is and how opposite he is from what you’ld expect him to be, which I always look for and love in an artist and have always strived for in myself. “How Do You Do”? I’m just fine as long as I’m listening to Mayer Hawthorne’s new album. Thank you very much. This entry was posted in Music, Review, Top 10 and tagged 2011, 21, 50 Words For Snow, Adele, Albums, Art Rock, Ashes & Fire, Black And White America, Classical, Coldplay, Danger Mouse, Daniele Luppi, Director's Cut, Folk, Funk, Funk-Rock, Hip-Hop, How Do You Do, Jay-Z, Kanye West, Kate Bush, Lasers, Lenny Kravitz, Lupe Fiasco, Mayer Hawthorne, Music, Mylo Xyloto, Pop, Progressive Rock, R&B, Rap, Rock, Rome, Ryan Adams, Soul, The Throne, Theophilus London, Timez Are Weird These Days, Top 10, Watch The Throne. Bookmark the permalink.